You already know the effects of coffee on our bodies, don´t you? It’s all pure chemistry and sensations. You feel more willing, awake, and ready to produce. Moreover its taste and aroma are also quite pleasant and unmistakable, making it a very popular drink all over the world. According to the latest coffee statistics from the International Coffee Organization (ICO), we pour about 1.4 billion cups of coffee a day worldwide. That’s a lot of coffee, and about 45 percent of it (400 million cups a day!) is drunk in the United States. Legend has it that goats from Ethiopia discovered coffee 400 AD. Breeders noticed that their animals became more excited after consuming the strange grain. The name of one of these regions is Cafa, which probably gave rise to the name Coffee. 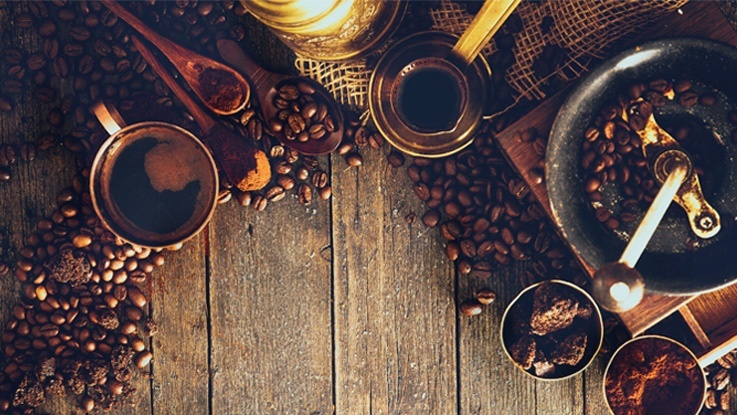 Over time, coffee spread throughout the region until entering Europe in the 17th century. The Dutch were the first to carry coffee on their expeditions to the new world, in their Central American colonies. The Portuguese as well did this, bringing the seedlings from Amsterdam to Brazil, without ever dreaming that this would be the starting point for one of the greatest economic and social transformations in the world. Adapting to the excellent tropical Brazilian climate, where everything that is planted grows, coffee soon became a product in expansion in the country, leveraged by black slavery. Africans were an essential labor force for Brazilian coffee productivity. With the end of slavery and with the huge amounts of availzble land at the end of the war, , many European immigrants sought new opportunities in this country, in particular the Italians, in search of the then famous “green gold”. To date, Brazil is the world’s largest producer of this commodity, producing ⅓ of the world’s coffee, or 3 million tons of coffee per year. However, the Italians, with their natural touch, created the value of this drink by inventing different formats such as Capucchino, Mocca and Expresso. They also externalized the Latte, but this mixture of coffee and milk had already been tasted by the Dutch. The Americans, the greatest consumers of the drink, also gave it their own touch. They created the world’s largest coffee franchise, Starbucks, making this a profitable business. One of our MIUC master students, Diana Kobakova, developed her thesis to examine the economic transformations of coffee that made a simple commodity become a profitable consumption experience. Her thesis comprised interviews with consumers of the two largest coffee franchises in the world: The American Starbucks and the British Costa Coffee. The main purpose was to garner a better understanding of the behaviour of four different consumer profiles (the four realms of experience). The MIUC student was able to relate important aspects of consumer experience concepts impacting the perception of price (value) and making coffee one of the most profitable business in the world, taking into consideration the initial price of a sack of coffee until the final price of a cup of coffee in a coffee shop. Her study can be used as a reference for coffee shops so that they can increase their relations with their consumers through the interpretation of their senses.